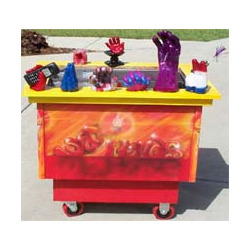 Fun Makers rents wax hand art equipment and interactive games for school, church and college events, company picnics, parties, festivals, trade shows and carnivals. Dip your hand into the liquid wax and create your own art form hand impression. We provide wax hand rentals in the Akron, Canton, Cleveland and Columbus, Ohio area and in the states of Pennsylvania, Michigan, West Virginia and Indiana. Get ready to ''WOW'' your guests at your next event with Wax Hand Art, a fun and creative hands-on activity for children and adults. 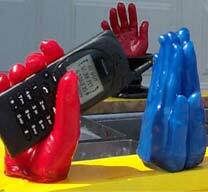 Dip your hand into our warm, soothing wax to form a colorful, treasured souvenir mold of your hand.